We don’t have to tell you real estate is highly competitive. Whether you’re a local business or a design & build firm, the quality of your craft will be judged by your website. Even knowing this, too many businesses opt for cookie-cutter solutions. Magellan Development Group is committed to discovering new and innovative ways to live. As a full-service firm, they plan, design, and build communities, carrying projects through from start to finish. Clique previously designed and built their website, as well as conducted ongoing site maintenance and updates. 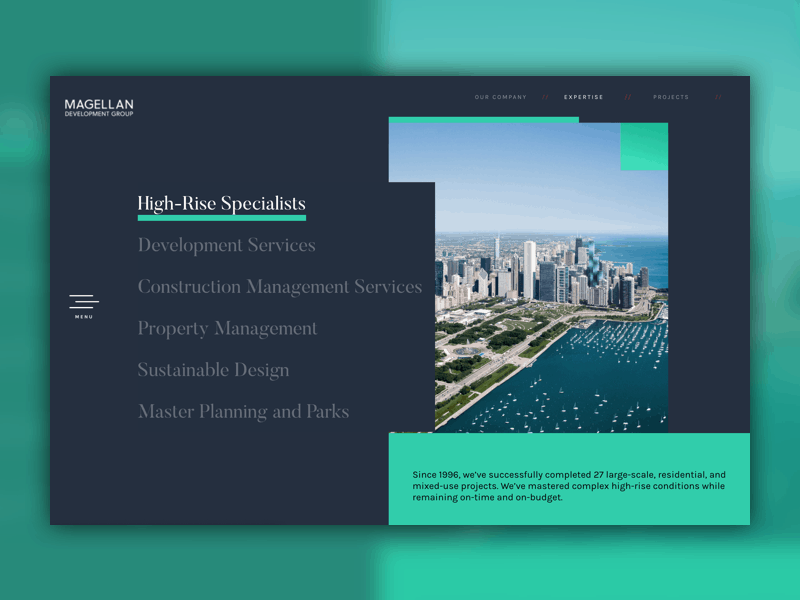 As Magellan continued to grow and innovate, they identified the opportunity to modernize their brand and improve their website to better reflect their updated portfolio. We took a collaborative approach, working closely with the Magellan team to bring their vision to life. 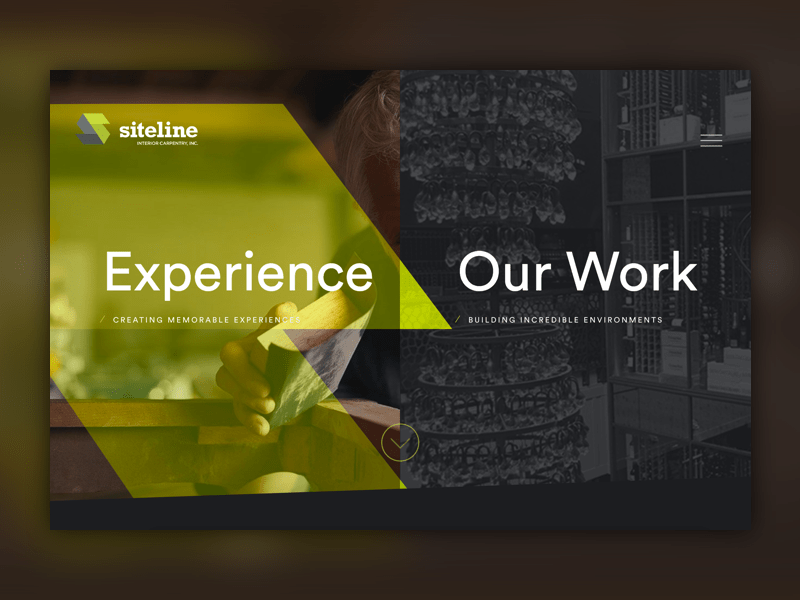 For the design direction, we let their expertise shine, displaying their breadth and depth of experience through featured case studies, high-quality imagery, and a filterable projects page. In order to help further the organization’s goal of growing nationally, we kept our focus on demonstrating their national footprint and impressive portfolio of work. In an industry where aesthetics are everything, we worked to create a design as visually appealing as their buildings are. Another important goal was revamping the overall brand by aligning the new website with the story they’re trying to tell. To do this, we conducted content workshops, and guided the messaging strategy and copy for the homepage and key secondary pages. One of the most important things to convey was their biggest differentiator: they don’t just build high rises—they plan, design, and build communities. 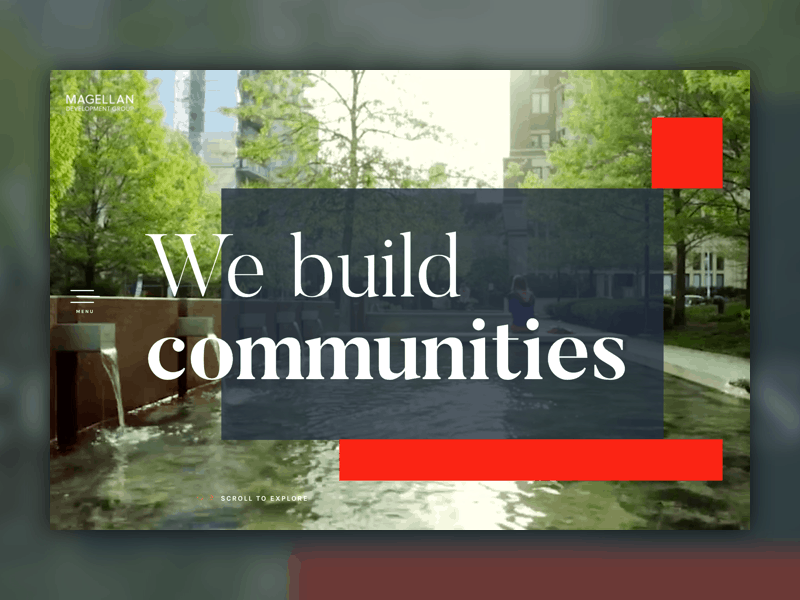 Starting with the intro sequence, we created a holistic design that brought these words to life. Check out this design to match one of the best development firms in the country. 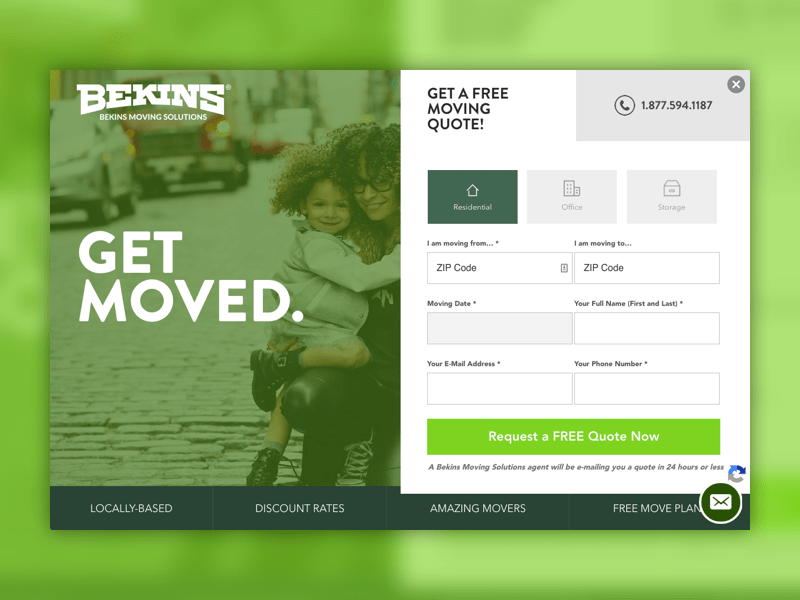 Bekins is a national moving company with local services. Their previous website wasn’t converting as well as they’d liked, and their paid ads weren’t performing optimally. They came to us in need of a new website with the primary goal of driving business through lead generation forms. Our approach came down to utilizing best practices in conversion design and form optimization. We redesigned the new site, modernized the branding, improved the navigation, and enhanced the user experience—and saw a huge increase in conversions. We are continuing to optimize through ongoing AB testing. If we assume yearly site traffic is the same as last year (175,560) that means Bekins will see an additional 7,689 conversions this year (14,343 → 22,032). 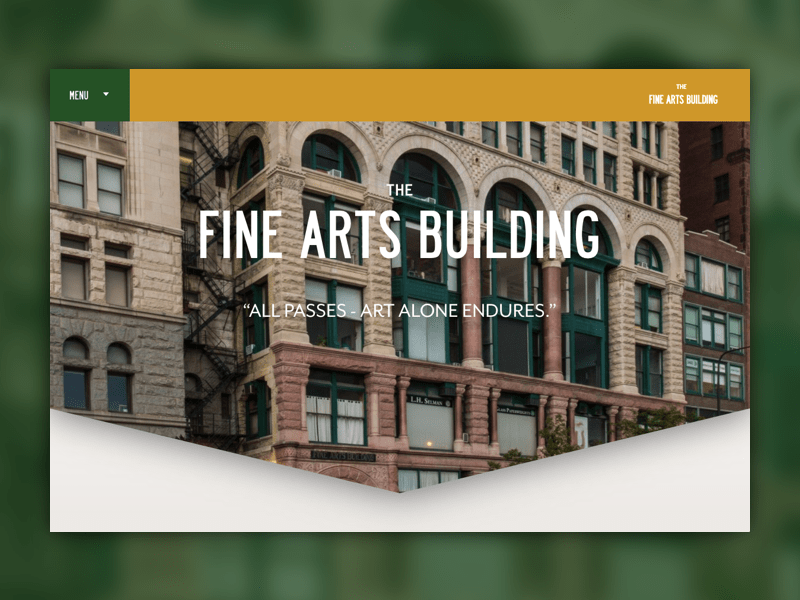 The Fine Arts Building is a historic Chicago landmark, known for its rich history, vintage elevators, and ten stories of artists’ studios. Today it houses artists’ lofts, art galleries, dance and recording studios, interior design firms, musical instrument makers and other businesses associated with the arts—including our own. We were thrilled to be able to tell the story of the place that’s been our home since our inception. 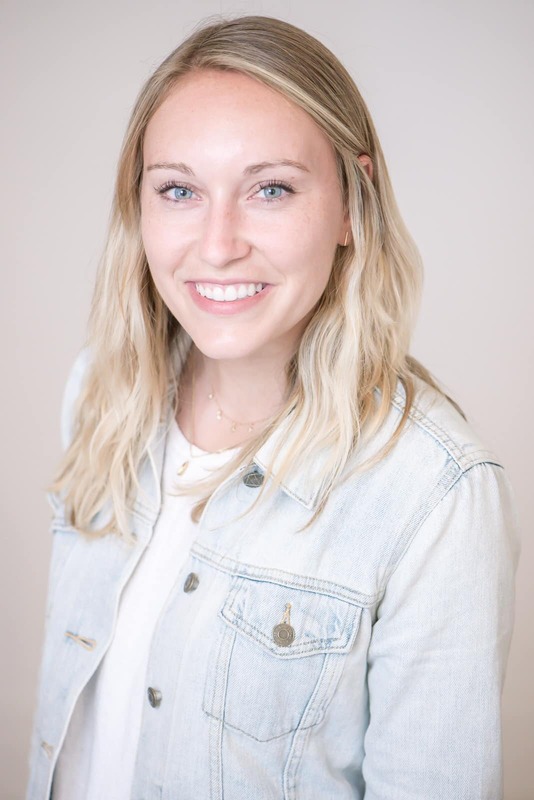 They had no previous website or digital presence, and came to Clique in need of a tool for people to find their building directory, as well as feature available studios. See how we told the story of one of Chicago’s most historic landmarks! ARCO/Murray is the best design-build contractor in the industry. Their proven methodology, from planning to execution, continuously brings their clients’ visions to life while delivering the best experience. 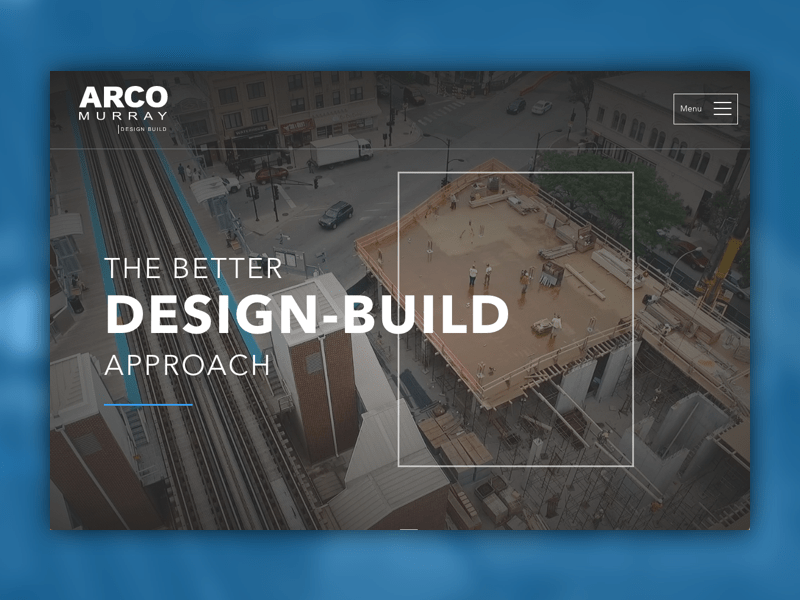 As design-build experts ourselves, we executed the design and build of a new website that highlighted the quality and effectiveness of ARCO’s approach, telling the brand’s story so as to attract the next generation of talent. We designed the site to showcase their impressive portfolio of work to project their reputation and attract new clients. See how this new site is accelerating the growth of one of Chicago’s fastest growing companies! 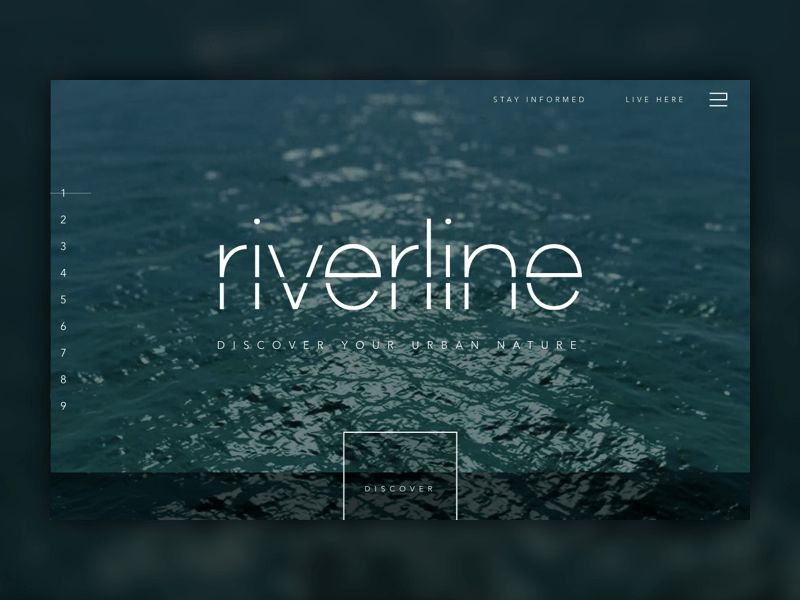 Riverline, one of the most important and largest developments to Chicago’s South Loop, came to Clique in need of a partner that could help them create a public identity, create buzz, and generate leads. They needed a partner who could work fast and prioritize and launch this new identity in phases. We worked under segmented goals and a tight timeline to first launch a foundational microsite that established a brand, created excitement about the project, and generated initial commercial and residential interest. From there we continued adding features and functionality to what you see today. Check out Chicago’s newest upcoming community!